Quinoa is a nice change of pace from rice, and I like that it is a ‘complete protein’ food. 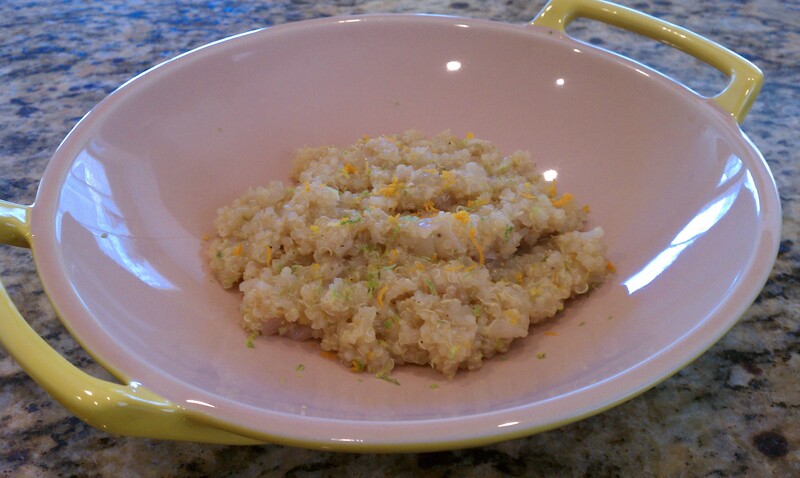 A friend sent me this recipe for Citrus Quinoa a year ago, but when she recently couldn’t find the recipe and went into a mild panic, I knew I had to try it. It is bright and refreshing with the zest of lemon, lime, and orange, and the honey is amazing with all this citrus. I decided to add the juice of the orange I had zested, and also reserved some of the zest to sprinkle on at the end. I used Ancient Harvest Quinoa in this recipe, as you can buy it pre-rinsed.